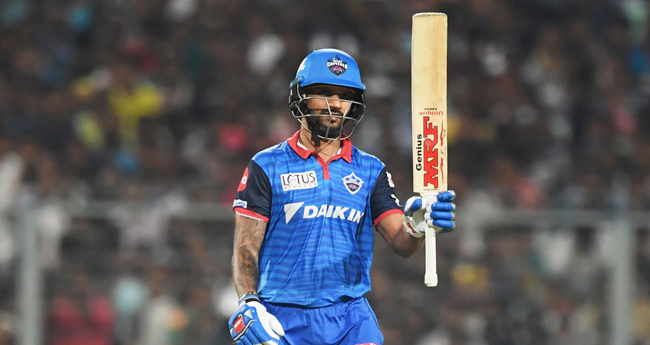 Kolkata: Shikhar Dhawan''s 97 helped Delhi Capitals to victory over Kolkata Knight Riders (KKR) by 7 wickets in the VIVO IPL match at Eden Gardens here on Friday Left handed batsman Dhawan played an unbeaten knock of 97 and helped his team to beat Kolkata Knight Riders by seven wickets. 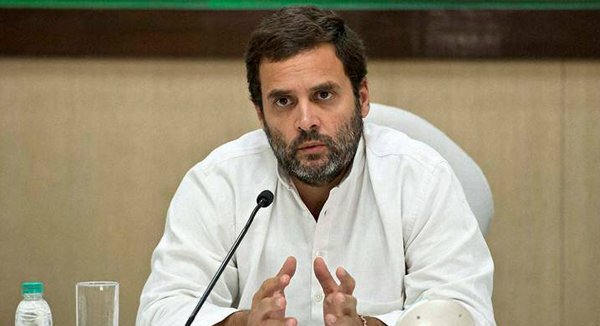 He smashed 2 sixes and 11 fours and took only 63 balls. Dhawan and wicket keeper Rishabh Pant added 105 off 69 deliveries for the third wicket. Kolkata Knight Riders tried out 7 different bowlers but they were unable to prevent the firm of Dhawan and Pant from running away with the game.Delhi Capitals needed 5 off 8 balls and Dhawan needed 3 to complete his maiden T20 hundred but Colin Ingram hit a six to finish the game. With this victory, Delhi Capitals won the fourth match of the Vivo IPL 2019. This was the second consecutive loss for strong Kolkata. MORE UNI BM-PC NNNN ZCZC Priority SPD 30 SPORTS-CRICKET-IPL-LEAD EDEN Dhawan''s 97 helps Delhi Capitals to victory over KKR by 7 wickets Kolkata, Apr 12 (UNI) Shikhar Dhawan''s 97 helped Delhi Capitals to victory over Kolkata Knight Riders (KKR) by 7 wickets in the VIVO IPL match at Eden Gardens here on Friday Left handed batsman Dhawan played an unbeaten knock of 97 and helped his team to beat Kolkata Knight Riders by seven wickets. He smashed 2 sixes and 11 fours and took only 63 balls. Dhawan and wicket keeper Rishabh Pant added 105 off 69 deliveries for the third wicket. Kolkata Knight Riders tried out 7 different bowlers but they were unable to prevent the firm of Dhawan and Pant from running away with the game. Delhi Capitals needed 5 off 8 balls and Dhawan needed 3 to complete his maiden T20 hundred but Colin Ingram hit a six to finish the game. With this victory, Delhi Capitals won the fourth match of the Vivo IPL 2019. This was the second consecutive loss for strong Kolkata. MORE UNI BM-PC NNNN ZCZC Priority SPD 30 SPORTS-CRICKET-IPL-LEAD EDEN Dhawan''s 97 helps Delhi Capitals to victory over KKR by 7 wickets Kolkata, Apr 12 (UNI) Shikhar Dhawan''s 97 helped Delhi Capitals to victory over Kolkata Knight Riders (KKR) by 7 wickets in the VIVO IPL match at Eden Gardens here on Friday Left handed batsman Dhawan played an unbeaten knock of 97 and helped his team to beat Kolkata Knight Riders by seven wickets. He smashed 2 sixes and 11 fours and took only 63 balls. Dhawan and wicket keeper Rishabh Pant added 105 off 69 deliveries for the third wicket. Kolkata Knight Riders tried out 7 different bowlers but they were unable to prevent the firm of Dhawan and Pant from running away with the game. Delhi Capitals needed 5 off 8 balls and Dhawan needed 3 to complete his maiden T20 hundred but Colin Ingram hit a six to finish the game. With this victory, Delhi Capitals won the fourth match of the Vivo IPL 2019. This was the second consecutive loss for strong Kolkata.